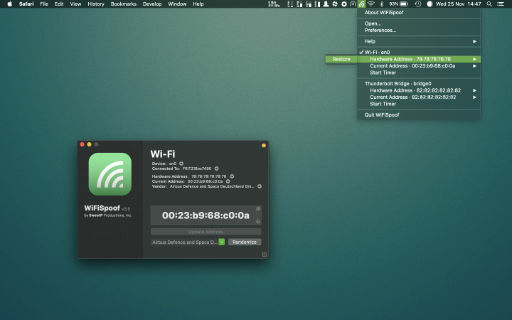 Quickly and easily change your computer's MAC address. Surf Public Wi-Fi Networks like a Boss! 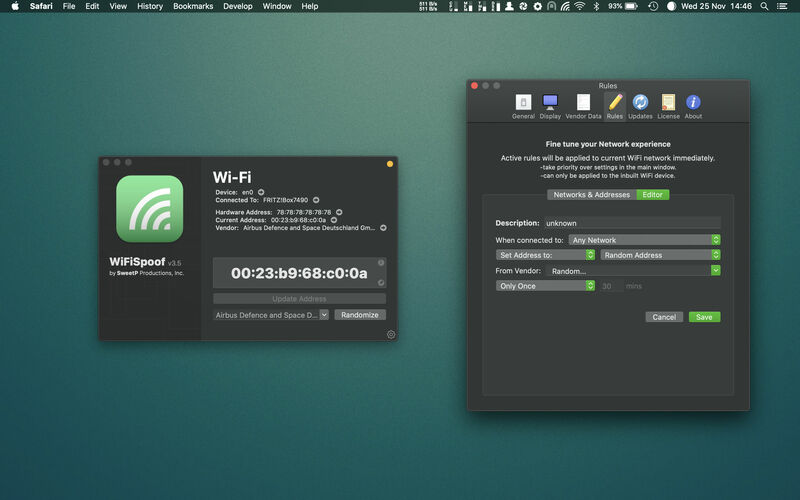 Easily change your Wi-Fi/Ethernet MAC address – no need to fiddle with the Terminal. Generate completely random MAC addresses, or specific vendor addresses with the in-built vendor database. 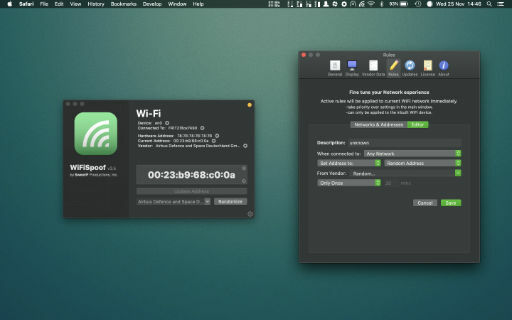 Setup custom rules for all your favorite networks - randomize every 30mins at your favorite cafe, set to a predefined MAC address at work, and set another MAC address at home. The possibilities are endless. Configure global keyboard shortcuts to instantly access the main window with handy network information, randomize your MAC address, or toggle the built-in timer function. Avoid silly network restrictions and protect your privacy while surfing public Wi-Fi networks. MAC addresses are not encrypted while you surf the internet, leaving your computer as a potential target for undesirable tracking. A beautiful and Intuitive UI made for humans. Use it how you want. Quick access to common features. What can it do, what do you need, and why is it useful. Configure custom rules according to network connection. Look like something you want? Great, Buy it for only $19.99 using the button below. 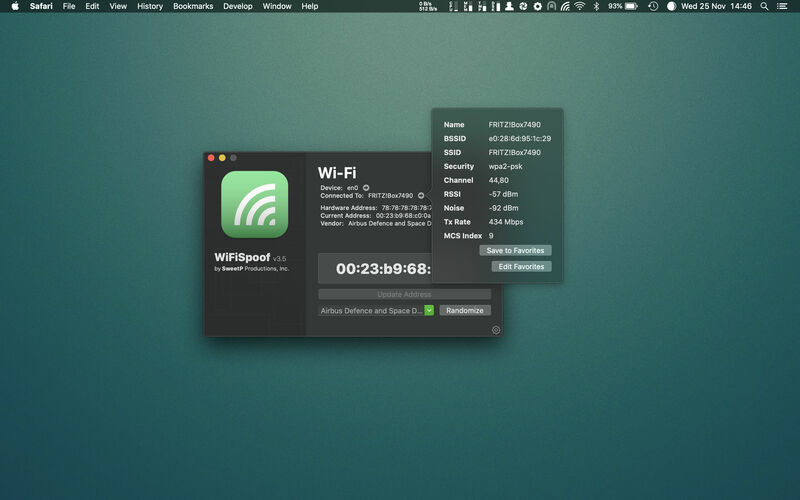 Alternatively take WiFiSpoof for a free 2 week test drive and see if it fits your needs. Just click the Try it button below. Head on over to our main site and check out some of our other great Apps, or for WiFiSpoof support.